Lee Gang-Doo (Lee Joon-Ho) dreamed of becoming a soccer player, but an accident ended those dreams. His father died in the accident and he broke his leg. Lee Gang-Doo spent 3 years in rehab. Now, he doesn't have anything and just wastes his days. Lee Gang-Doo then meets Ha Moon-Soo (Won Jin-A). Ha Moon-Soo makes architecture models. Ha Moon-Soo also endured through the same accident that killed her younger sibling. She has suffered from guilt that she survived. She has lived her life earnestly, while suppressing her feelings. After meeting Lee Gang-Doo, Ha Moon-Soo begins to express her hidden feelings. Won Jin-A was selected to play the lead female character after taking part in auditions with 120 other participants. Chakita3 Aug 25 2018 6:46 pm Came across it by chance, never realised how much I missed melos... Absolutely loved this...Some say it was slow paced, but I thought it was perfect! Lots of dramas these days move too fast its so frustrating! Loved how granny passed and instead of showing the usual funeral scenes they instead showed a group of friends touched by her at her shop remembering her with junk food and praise!! LOVED IT!...even had a foreigner there to depict the multicultural diversity of her clientele...BEAUTIFUL! Yep, this drama especially with the leads (beautiful pairing) and Junho, wow good work matey so many emotions, good work! !, gorgeous drama, thank you. The casting was perfect!! Great story, beautiful love story...the feels...!!! Utie Jul 26 2018 7:47 pm Very entertaining drama. What most interesting is kang hana role. Why in the past (moon lovers) or in the present (just between lovers) she always has same role. Making influence to alot people, her role always being rich girl and do whatever she wants. Anyway, i am in ep 5 and dont no why i love chemistry between main lead. This drama is highly recomended!!! Kani Jul 19 2018 1:12 pm This is the first time I comment in here. But this masterpiece deserves all the praise & appreciation!! I haven't watched any K-dramas for about 1 year. I was bored & accidentally found this drama so I decided to give it a try. And that was the best decision I've ever made!! You won't regret watching it! It's simply beautiful & makes my heart feel warm! For the first time, I like all the characters in a drama. Just watch and you'll understand why! A big applause for the prouction team & the cast! It's surprisingly rocket up on my all-time favorite K-dramas' list! Recommended! No doubt, 10/10!! Chiki Jul 07 2018 6:52 am Highly recommend kdrama...Best so far...♥ Acting-10/10 Chemistry-10/10 Story-10/10 I have so many dramas...but this one was actually amazing...I really don't know why the jtbc dramas lack in ratings although having a good story!!! Siki Jul 07 2018 6:47 am Best drama so far! fated_ May 02 2018 4:42 am It's a story of two tragic souls who found comfort with each other. Beautiful, almost heartbreaking, but is very hopeful and kind. This is the kind of drama that lingers days after you finished it. Salute to the whole cast and crew! Lovee the chemistry of Gangdoo and all the other characters. This drama taught me to always see the good in people, to not judge people from their looks and to always choose kindness before anything else. I've seen soooo many melancholic/romance dramas and I can definitely say that this drama is the number one for me. I loveee all the characters in this drama, including the chairman who can be annoying at times, but they all have another side to them that lets us know that everyone has their own trouble in life. I have never in my life written any sort of comments or reviews on anything, but I feel like I have to spread the goodness and warmth I felt from this drama to everyone. eszen vallente Apr 09 2018 12:26 am . ..Won Jin-A looks like Soo Ae.there are some scenes that she really looks Soo Ae. eszen vallente Apr 09 2018 12:07 am . .. this is a really great story.I like the character of gang doo and moon soo.there some scenes that if makes me smile like crazy, a very romantic excitement, I cry a lot and scared tha gang doo will die leaving moon soo. ..i really like the look of gang doo eyes and the smile of moon soo.I think they are perfect couple in this drama.Thanks to the writer,director,the producer,the staffs and to all cast for making this drama a memorable to me. yeye Apr 07 2018 8:20 am best drama ever!!!! I love gang doo character so much!!! Nurul Mar 20 2018 9:23 am While watching the drama, it reminiscences me another drama; secret love. Though the storyline is quite opposite, the feeling lingered is the same (at least for me). Then I see the the writer's works, no wonder. Its the same writer. I love the feeling. I love the script. I love the storyline. I love the romance. Its mixed very well! I cried twrd the end. The slice of life lesson left in this drama struck me, in a positive way. Pls watch not only with your eyes, with your heart too! The chemistry btw all actors and actresses are superb although I could see some awkward scenes. However, that not make this drama any less. Simply amazing and looking fwrd seeing Junho and Jin A in other drama. Also, If anyone could recommend me this similiar/kind of melodrama would be wonderful! Thanks in advance! Rastine Mar 18 2018 11:44 am What a great drama.. I cry a lot, then smile like crazy because of Gang Do :") just watch it, you won't regret it. The soundtracks are fit amazingly with the storyline. The color pallette successfully stimulate your melancholic side, not so dark nor too desperate but enough too tell you about the painful life theyre living in. Not to mentio the storyline, you might think this one hell slow progress drama but wait, no. The character development is amazingly executed, they have so many story entangled together and you wont get bored. You have perfect pair of lead and supporting roles. If you like to contemplate about life and feed your empathy, this movie will sure your to go. This is so warm, they gave us enough time to re evaluate our value and the way we see person and problem, as we oftenly simplify the issue. This kind of drama is suit me best, suit my value and believe that no body is trully white nor black. We are the victim and villain t once, we are the light and dark, we bear our own darkness and reason. Go Mar 15 2018 2:22 am This one is a must watch. From the leads' awesome performance, new oppa, cartoonists tandem, Sang Man's innocence to great OSTs. Keep it going! Fighting! you know a good series by its effect after finishing it!!! Well it’s been 2 months since I finished this amazing series and I’m still thinking of it !!!!! I don’t regret a single tear I dropped while watching it! I used to have exams on the next day the new episode is out and I couldn’t study or focus without knowing what will happen next so I watch it and then study or sleep ... the acting the shooting the scenes the cast the story are all amazing!!! It’s the first time I watch a series that doesn’t have that rich guy who falls in love with a poor girl and tries to overcome the obstacles and end up together and stuff ! Its different it shows you that not only money makes you happy there are so many other things that makes a person happy. This series will keep holding you till the last minute it’s not a 10/10 it’s a 10000000/1000000000 I so recommend you to watch it!!!! Enjoy it ! It’s worth watching ? yaya Mar 09 2018 5:47 am For those wondering whether to watch this drama or not? PLEASE DO! i assure you guys would not be dissapointed! The leads played by Won Jin Ah and Lee Junho (my bias from 2pm ya'll) were very good at potraying their characters... the plots were slow but had a nice streak to it... again i tell you! The leads acted as if they're living their characters real lives! This drama is seriously the best for me, sad that it wasn't that famous in Korea... but there's a lot of international fans out here like me! supporting actual good dramas! its definitely a 10/10 drama for me! Also it was both the actor's and actress' first time playing leads in this drama and they killed it! sorry for rambling here's a potato O.
stressy Mar 06 2018 1:42 am One more type of movie/drama that when i watch it i feel like the scenes is really happen right now in the other place. It's more like i watch an actually live show than a drama. It's so realistic. Mat Mar 05 2018 12:45 pm 10/10 actors, 10/10 script, everything on this drama 10/10 definitely on my watch list again soon! Lovelots from Philippines! Miro Bico Feb 26 2018 2:02 pm This drama is poignant and yet so beautifully executed. I was hesistant at first, but oh my! I was in for a roller coaster ride. There's a lot of ups and downs between the main lead, it's dark and yet gives you hope at the end of the journey. It was a little slow at first but as the episode unfolds, it only prepares you to a bigger picture. I love this drama because the story line didn't only focus on the two main lead but each and everyone around them as well. I fell inlove with the subtle relationship between Jung Yoo-Taek and Ma-Ri, the unconditional love of Sang-Man to his "hyung", Kim Wan-Jin, who finally found her true love despite the odds and of course the main leads love that trancends time. There's no actual villain in this story, but only different perspective when dealing with things. Anyway, I'll give this a perfect score for a job well done script. night light Feb 26 2018 6:33 am I just started last ep and had to stop for a while so I m writing this , i cried with every episode of this drama, its so realistic warm heartbreaking and comforting ,shows that life is sometimes so unfair that some people pay it hard for being alive ,no one is having it easy ,it makes you think about what life is really about , it wakes the values we lost in our daily life . this drama is so good at so many levels its so special . i dont care how it'll end , I dont want a tragic ending (i know from comments below it wont) but i wouldn't mind it , the impact of the drama is strong enough . there's one line i can totally relate to i had to stop watching just to cry, it was when she saw her sister in her dreams and she said something like "I m afraid cuz now i can only see her in my dreams"
Ann Feb 25 2018 2:38 pm Oh my gosh!!! Just finished this now and my heart!!! I love love love love this drama. Hit the right spots. Its sooo sweet and so realistic, very very well executed. *sighs* I can just carry on watching them, how I wish this was longer but I can breathe a sigh of relief at the ending. This drama just made me feel all warm and fuzzy inside. So heartbreaking and sad but intertwined with moments of what makes you feel truly alive. This is a drama that’s got a special place in my heart. I loved Gang Doo and Moon Soo together so much, Im earnestly hoping theyll one day work together again. They make a wonderful pairing. This was just so satisfying and Im glad that they didnt make. An unecessary sad ending. Just nice and simple. Love it!! A bit of a spoiler ahead: I bit disappointed that CEO Seo and Yoo Jin didnt get back together. dalisay dy Feb 22 2018 8:39 pm i love this drama too..so refreshing..and Won Jin-ah looks so much like Soo Ae, so pretty too..and Junho is my new found love. Beardy Feb 22 2018 7:23 am I love this drama cause the main couple have great chemistry. Their relationship development was smooth so step by step you feel the love too. their life backgroud as mid range economic class or even you can included it to lower class was give you positively vibe to face your own life. Its about struggle and fight. Although the story was not really fresh and about healing the pain from their past which is often use as a theme of drama. kshLover Feb 17 2018 2:12 am Why do i feel like its going to be a sad ending.. i watched 14 episodes... i cant continue when i watched the preview of ep 15 ?????? Binero Feb 16 2018 7:19 pm I genuinely love this drama. I‘m still not finished with the first half of the drama but I already can say that this has one of my favorite korean drama couple of all time. Apart from the actors who of course portray their characters very well, I have to give the real kudos here to the script writer. I just love how they fell in love. It was just so natrually. It just kinda happens. And at least there. They didn’t need some huge drama to find out (of course, it had to come later but thats not the point here). I also love that for once it’s not a „the female lead stands between two guys“ kinda drama. Even though the CEO confessed to her, she never, not once indicated in any way that she might have romantic feelings for him too. It was always clearly Gang Do. The female lead is very likable. I just hope that, when I finally reach the half of the episodes, I won’t get disappointed because it gets booting and unbelievable. Korean Dramas tend to do that. Misstumbler Feb 15 2018 8:50 am I watch it for second times. This become my favourite romantic drama (the last time I remember rewatch a romantic drama is Baby face beauty ^^; which is almost 10 years ago). For those who not watch it yet, I really recommend this. The acting is natural and believable, cinematography is beautiful, and the soundtracks are so amazing. I'm really looking forward for their future's work (Jun ho, Woo jin ah, the director and also scriptwriter). This drama is ddaebak! 그냥 means "just" as in "just because" or "simply". It doesn't really have any special meaning and is used in various situations most commonly as a filler word. For e.g someone asks you "why you went there?" (저기로 왜 가요?") and if you really don't have anything to say, you could reply with "그냥 갔어요" i.e "I just went there (without reason)". "As it is" does fit its spectrum of usage for e.g "그냥 둬" i.e "leave it (as it is)" or "(just) leave it". 사랑하는 is 사랑하다 (which means to love in its plain form, it's a verb) with application of verb or adjective + 는 + Noun (it's hard to explain) for e.g "사랑하는 사람들" means "People who love". So the literal translation is in fact "Just between people who love" or "Just between lovers". Note that "people" (사람) is not in the sentence, Koreans love skipping out subjects from sentences and "사이" is there to add in some nuances to add the meaning of "people". The statement is incomplete really but has nuances to it to give it meaning (again Koreans love to do that i.e they don't usually use all the clauses in a sentence unless it is required and leaves it up to the understanding of the listener) but it's hard to transform it into English and give it a pithy translation. Korean language is like that, you cannot really translate Korean sentences into English and give it the same depth as in Korean. Your translation is not entirely correct. I think the best translation the title can be given is "Love between them, as it is", it adds an element of emptiness which fits the drama since it is not entirely a plot driven drama and more of a character driven drama and both of the lead characters are empty as in broken and missing something. The official title of the drama is actually "Rain or Shine" which is totally different to the Korean title (usually Kdramas have different Korean and different English titles). Source: Me on the Korean explanation since I've been studying Korean for sometime now (and am fluent in it) and English is something I've been using since childhood; JTBC's international site on the English title of the drama. Miki Feb 12 2018 3:49 am Is it just me or does Moon-Soo (Won Jin-A) has so much similarity with Song Hye Kyo especially in this drama? Maybe her way of acting and the bangs, but damn every time I look at her I see a young Hye Kyo and it's just amazing. Kudos to this drama tho, it's very minimal, natural and very very relaxing to watch from the camera shots, cinematography, bgm, acting, and the story plot. I'm still watching it tho and it really differentiates with all the other dramas I'm watching right now. Absolute must watch!! Will continue watching now tho, ciao! castlin Feb 11 2018 6:08 am pain..sadness..longing..hoping...loving... the story will not make you laugh nor make you sad.. but you will find a new story of love. Recommended 100% congratulations to the writers and actors. FYI: Jun-Ho is excellent in this drama. while the new female lead is great even if it is her first time. Plus the OST really make you feel sad.. effective and it will touch your heart. Thumbs Up! BMR Feb 10 2018 3:08 pm This is without any hesitation the very best, most enriching of all the modern Korean drama I have ever watched and became fully engaged. Having time, I watched it a second time to understand fully why I was so moved. My comments are a little long because I would like to share my impressions, but I believe there is no spoiler. From the first episode to the last, the entire production team worked superbly together to tell a profoundly affecting story of different people overcoming, each in their own way, the trauma and other consequences of a tragedy that occurred 15 years earlier. They struggle with their lives, change their ways, and eventually heal and survive in peace,. This drama is story telling of the highest quality and rich humanity in the smallest detail of the life of each character over 16 episodes. Some episodes are emotionally intense to watch, but they are so truthful that I remained totally engaged. Looking back, the healing qualities of this drama are out of the ordinary. Screenwriter Yoo Bo-Ra 유보라 is a great artist in total command of her entire story from the start to the end. She has invested much in every character without ever losing control of the overall story. Seemingly casual details of the story resurface meaningfully in later episodes. Too many Kdramas end boringly with predicable outcomes; but, here, the 16th and final episode is brilliantly written and edited in its pace and suspense. The result is profoundly moving, heart-warming or humorous as the knots holding back each individual character are finally untied. The casting is excellent for every single role. One also feels that each actor is giving his/her best under the excellent direction of Kim Jin-Won. It is easy to imagine the creative interactions that must have occurred when filming every scene between the screenwriter, the director, each actor, the photographer, the music director and the entire production team. The resulting unity of the entire production team under Director Kim Jin-won is worthy of the highest awards. At heart, this is a psychological story and the camera work brings out the finest nuances of each moment through very effective close-ups. There is also visual creativity in many scenes. Lead actor Lee Jun-Ho delivers what may be the performance of a lifetime as Lee Gang-Doo, the young man whose dreams and body were crushed during the collapse of the new Space Shopping Center; but who fights against every bad break or tough time to keep his pride and dignity. The quality of Jun-Ho’s interactions with the different men and women in the drama is impressive by its versatility and truth. The excellent close-up camera work brings out every nuance of Lee Jun-Ho's quick, intense and subtle acting (and for the other actors as well). The music is also beautifully suited to each moment. Someone said that Lee Jun- Ho who was originally a K-pop singer, sings one of the OSTs! Lee Jun-ho's counterpart, lead actress Won Jin-ah is equally attractive as Ha Moon-Soo, the bright, strong minded and considerate young architect who survived among the debris of the collapsed shopping center next to Lee Gang-doo. She now lives a quiet life because she initially lost the memory of that experience. A major strand of the story is how Moon-Soo who has long suppressed her past eventually overcomes her massive sense of guilt for having survived when her little sister Yeon-Soo died and also her new boyfriend Choe Seong-Jae whom she had invited for an ill-fated first date at the opening of the new shopping center. She also blames herself for being rescued first before Gang-doo. Staying behind, Gangdoo was further injured and also had to spend several disturbing days in darkness with the body of Seong-Jae who is a total stranger to him. Gang-doo was the last survivor to be rescued from the disaster, several days after Moon-Soo. There are many significant side stories woven together into the flow of this drama. Each individual character is superbly written by young screen writer Yoo Bo-ra whose sense of suspense, timing, humor and empathy reaches a peak in the final episode. Without exception, every actor brings Yoo’s script to life in the most convincing way. Two characters whose interactions with Gang-doo are deeply affecting, are Jeong Sook-Hee the strong-headed and wise medicine selling grandma and Ahn Sang Man, the gentle and loving son of Gangdoo’s innkeeper of the rooming house named “the Milky Way” (Eun-ah-soo). Both the old lady who has survived the toughest times and the simple-minded, innocent yet stubborn young man are in their different ways, teachers of how to live well. These two actors really deserve awards. Each of Yoo Bo-Ra’s character is complex and gives a chance to every actor and every actress to shine. And they do! 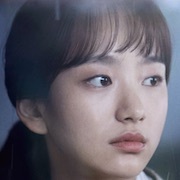 In the complex psychological characters that Yoo Bo-Ra weaves across episodes in which each person struggles with life and grows there are no inconsistencies nor time-filling artificial scenes . The editing carries the story forward in sharp, incisive, fast-paced ways with a light touch. Flashbacks are powerfully used to reveal more insights into the life of each character. From the subtitles, Yoo Bo-Ra uses common Korean expressions in precise, occasionally poetical ways to bring out the truth and intensity of human relationships. One of my favorite moments occurs in the final 16th episode when Moon-soo who is terrified that her love Gang-doo might die of a liver failure desperately screams at him " I'll kill you, if you die!". Not every moment is somber or tense. Nor is anyone entirely bad or good. There are lovely, warm, moving, humorous or revealing moments for each character. This story is Korean in the details of life as it takes us to different places: the huge construction site and its temporary field supervisor’s office; the 16th floor office of Director Jeong Yoo-Taek; the modern rented offices of architect Seo Joo-Won; Gang-doo’s rooming house; the women bath house of Moon-Soo’s mother; the noodle shop of her father; Mari’s bar in the red district; the luxurious upper class offices and restaurants where executives go; the back streets of Grandma’s “clinic” for struggling workers, Moksan Hospital, the comfortable traditional house of well-off but disabled comics writer Kim Wan-Jin, the city's harbor, the fishing boat, the classy hotel penthouse suite. The mixing of land, mountains and sea defines the space of Moksan city and the sea is often a powerful background for the story. Yet because the struggles of each character are psychologically true and so well rooted in Korean reality, this story becomes universal. This drama may not appeal to everyone depending on the type of relaxation they are looking for on a given day; but those who choose to watch this drama will not be disappointed. They will be left with a positive sense of healing in their own lives[ just like Moon-Soo and Gang-Doo who are finally at peace as they watch the beautiful sunset over the city of Moksan from the rooftop of the Coral Bath House. In the closing picture there is an unexpected thin, metallic cross leaning against the sunset skyline as if to shelter them. I disliked the meaningless official English title of “Just between lovers”, which gives zero clue about the story. Because the expression 그냥 (Geunyang) is spoken at significant times throughout the story, I checked a Korean dictionary. It said that "Geunyang" means “as it is” or “that is the way it is”. So, am I translating correctly the title of this drama: 그냥 사랑하는 사이as "Let us live our love as it is"or “...as it is given to us”? Is a reasonable drama title ” Our love as it is”? female Feb 10 2018 2:01 am This drama is so good♥ I really like the chemistry between the lead actors. So simple and so sweet. And I love it cause Grandma Na Mon Hee played in this drama too. Amy Feb 09 2018 5:56 am An excellent drama, with a lot of heart. Like others on this page, I never comment about the dramas I watch, but this one really deserves more attention. The story is good, the acting excellent, you can see that the actors put a lot of heart into this. Lee Joon Ho and Won Jin-A were very pleasant surprises, I had never watched any of their work before, but loved the way they portrayed their characters, they feel so lived in. Both did great jobs, and are very talented. The characters are really the strong point of this show, they are complex, so relatable, so human - not only the leads, but the secondary characters too. I especially loved the grandmother and her relationship to Gang Doo. The dialogue feels natural, the OST and the cinematography are excellent. This is a truly uplifting drama. One feels 'full' after watching it, and it continues to linger in one's mind even a while after finishing it. It has given me food for thought , and I really can't say that about many kdramas, or shows in general. This one delivered till the end. It also isn't gloomy or too dramatic. It strikes a wonderful balance, which is rare. There is also plenty of cute, and many opportunities to smile. The great thing is that where there is drama, it is justified, which is so refreshing. The story is about pain and dealing with it, and healing, so although things can get quite low at some pints, the characters' reactions are so natural, their evolution is so good, that one feels optimistic, uplifted and even humbled. It has been a while since a story, or a show, has made me reflect upon myself and try to become a better person, and this one has had that effect. So thank you from the heart to the team! I hope they will deliver such good shows in the future too! Pici Feb 08 2018 10:14 am best drama make me cry and happy!!!!! season 2 please ?? Nadine Feb 06 2018 5:01 am Lee Joon Ho's acting kinda reminds me of Ji Chang Wook oppa. Amazing acting without a doubt. This drama is so so beautiful and I don't have enough words to say how much. Amazing cinematography!!! Whoever made this drama and helped it to become a reality, I'm saying this to you, This is being grateful to you! Your art matters, That's what got me here!!! dilara Feb 04 2018 6:30 am is there going to be a second season??? Lady Feb 04 2018 5:08 am Quite possibly the greatest kdrama I've ever had the opportunity to stumble across. The intricate writing, beautiful plot and heart warming acting have left a very heavy and lasting impact on my mind. Every episode was meaningful, filled with so many life lessons to be learnt and cute heart fluttering moments. They addressed real life issues with incredible poignance in as little as 17 episodes, they did it like no drama i've ever watched has ever done. kaya Feb 03 2018 8:17 am Awards, awards, awards for this completely beautiful kdrama! Korre Ssin Feb 01 2018 9:00 pm I would like to express my love to the beautiful story of Just Between Lovers. From the plot, to the characters, to the breathtaking cinematography and heart tugging soundtrack, this drama is by far one of the best but least appreciated Kdrama I've ever watched. I have never posted a comment on any Kdrama before no matter how much I liked the story but this one is totally different. I am typing right now because I can't contain the overwhelming emotions that this drama has stirred in me. Yes, it may not be for everyone because of the sad yet sincere lives of all the characters that would keep tugging at your heartstrings. Everyone's role is an important part that makes the story real. There was no unnecessary scenes just to fill up the length of each episode. It was very pure and raw and no one was truly evil. It has portrayed different faces of life that actually makes sense. And the message of the drama, the whole point of it all -- to heal -- is truly conveyed not just by the main but all the characters in it. Finally, the ending lines that the MC had said summed up everything that happened in this 16episode series, and also in the hearts of the viewers: "Because we survived... it's a relief." I am so glad I stumbled upon this captivating story and I'm sure that this drama will stay with me for a very long time. I don't think I would ever look at Kdramas the same way again. P.S. I just wish i could find the song at the end of ep6 where KangDoo and MoonSoo fell asleep by the sea..
PANDORA Feb 01 2018 5:15 pm I have been watching Korean Dramas for years, and might have watched more than 100 dramas so far. But I can say without a doubt that this was THE BEST DRAMA I have ever watched. It pushed back all my favorites for years and became number one. Nothing... Nothing has affected me ever as this drama did. And this last episode was just...I can't explain it with words. I still can't wake up from the whole feeling. As I said, nothing...never ever has a drama/movie/book or anything affected me this way. thank you to the writer, the producers and the actors who made this gem, this wonderful work of art, this...I don't even know what to call it. It was that good. I can't describe it with words. Just..still dazed in it. CP Feb 01 2018 2:09 pm This drama is sweet. Kyung1208 Feb 01 2018 4:42 am One of the most beautiful korean drama ever!! I fell in love with 2pm's Junho in this drama. Junho's acting is superb, his chemistry with Won Jin Ah is outstanding. I really admire the both of them. I hope to see them both work together for more dramas. Best of lucks and hope to see both of you on the near future! They need to win awards for this drama! EXCELLENT JOB for everyone in this drama and THANK YOU for giving as one of the most wonderful dramas created. JTBC lived up to my expectation. Malditang Bugay Feb 01 2018 1:33 am Overall, this drama makes you appreciate life even more and live your life to the fullest. I would definitely recommend this drama to everyone. satria Jan 31 2018 11:25 pm It was my first drama since 8 months, looking on their sinopsis make me curious about this drama, at least it one of the best drama I ever watch, extremely good story, beautiful cinematography, and cast really wonderfull, thanks to make this drama really appreciate it. Llian Jan 31 2018 8:11 pm My highly recommended drama. Tho its under rated its an unforgettable beautiful story with remarkable "ensemble of cast". Jun Ho and Jin Ah are now on top of my list for their brilliant dramatic performance. Hope to see them more in Kdrama and movies. Kudos to the director, writer, and other characters for a job well done! Love all the sound tract. miawww Jan 31 2018 11:00 am THIS DRAMA really refreshing because i got to see new actors and new actresses from usual dramas (kudos to you, won jin ah unnie!). it's refreshing to see new faces and even though i knew 2PM for quite long, i only get to recognize junho more from this series. the story is not exaggerated, but not reduced either. it's constant story from episode 1 until 16, yet still manage to keep you on your seat because you want to see the characters grow and change. it is mesmerizing to see ha moon soo & lee gang doo started to love themselves after meeting each other. anyway, i'm looking forward for their next project! junholuv Jan 31 2018 6:59 am Ha moon soo is a fool, she ignored gang doo at the time he needed her the most. She got angry at him unnecessarily as if he was the one that killed her first love. Sonia Singh Jan 31 2018 2:42 am Don't know from where do i start writing about this drama!! I waited for this drama when it was announced ... it had cauggt my eye.. than it started and now it ended! This is the truly Romance genre drama, which had everything from shyness to friendship, from deep scars to mesmerizing smiles, from healing to loving each other. This drama showed the journey of individuals which had gone through so much of sufferings but yet they didnt choose to give up. I never came across such a pure romantic kdrama ever. Have watched uncountable kdramas, but always use to miss something. But this drama had everything means everything. Gang doo character needs standing ovation with non-stop praising. Jun ho deserve excellent actor award of 2018. Gang doo character has risen up from a simple next door guy who had dreams which get vanished because of tragedy but he grow up leaving his loneliness behind and bring a courage in himself to fall in love with a girl who was going through same scars as him. Woo Jin Ah has captured my heart with her excellent expressions. Her eyes spoke much more than anything. I loved how they act with so deep emotions and how they beautifully delivered their emotions... no comparisons of  this drama with any drama. This is a MASTER PIECE ever written in Kdrama. It was really a big roller coaster ride which has came to an end today. The writer really took out our breath and even given us big hole in a heart momentarily in the last episodes. But everything has end well!! after a week i feel like bouncing * _^* yay yay yay !! Highly highly recommended to watch this amazing drama. I want to write more and more but my words have fallen shorten to write about this drama. Thank you sooooo much writer nim, director nim and whole team of JBL!! You All have worked hard, Saranghaeyo.... Hand Heart ❤❤❤❤??????? Best couple award goes to Woo Jin Ah and Lee Jun Ho Shi. Sad thing is im really gonna miss the actors of this drama. Once in a while someone make this kind of drama and it take away your heart and you don't know what you gonna do from that moment onwards. Guess i will going to binge in it again!!!! Lunia Jan 30 2018 11:29 pm Yay, Kangaroo Doo is survived. Hope to see Won Jin Ah in other project. She's natural beauty and talented too. Felamushi Jan 30 2018 1:50 pm I have now finished this work-of-art drama and am way too overwhelmed with emotions to write anything rational, but let me say just one thing: Do not hesitate to watch this, in fact, please do. This gem needs to be appreciated. P.S. I can take full responsibility in telling you that you won't be disappointed. 100% pure, disappointment-free, GOLD. BR39 Jan 30 2018 1:17 pm This outstanding drama is engaging in every way: direction, screen play , impressive acting, photography, music. This drama might not suit the taste of someone who happens to be simply looking for a light comedy as diversion from his/her daily life. For someone ready to be actively engaged, it is a rich and rewarding experience. We are very close to the end of the series now. Because I feel that I am in very safe hands, I expect sound closures of the 16th and final episode. Mel's comment of January 2nd explained why better than I could. I am reproducing it below. Thanks Mel ! "The premise of the show is about trauma and overcoming tragedy, and this drama does an amazing job at depicting it without sensationalizing or exploiting it for dramatic purposes. I've read that the aim of the drama is to be healing, and I think it's doing a wonderful job so far. "The characters are complex, and the lead actors are doing a great job at portraying their roles with nuance, no dramatic and over the top hysteria needed here. I'm so impressed with this show, it's such a subtle and beautiful ode to the road of recovery. It's not about plotlines or the dramatic moments as much as it is about diving into the characters' psyche the overall ambience of the show. I don't think this drama is for everyone, but I'm definitely enjoying every minute of it." heriwinata Jan 30 2018 5:35 am i think this is best drama so far at 2017-2018..
Conrad Jan 30 2018 5:26 am I'm crying non stop watching this drama, hoping that i can endure the last episode, and wont cry my self out to sleep. Rob Jan 29 2018 10:02 am It is my hope,that this drama show has a happy ending,and not a tragic ending like in other shows.I also hope,that they add another season,or make a second part to this great drama.Now that would be really awesome and and totally amazing to see.For me,this is one of the best romantic dramas I have seen so far,that I really enjoy watching,and hope the producers and writers of this beautiful romantic drama finally realize,that they have created one of the best and most excellent romantic Korean dramas,in the very unique way they have done so. All the actors are very talented,especially the men,who act like real men,and not silly,stupid,or gay,when touching,or making love to their women, just like in many other similar boring Korean romantic dramas,where they act so cowardly,and like insensitive mechanical robots without any feelings.The women are also not afraid,or weak to express,or show their feelings and love to their men.It is by far exceeded all my expectations,and no doubt would be a real shame,and loss,not to continue adding another season, with all the same actors included.In my opinion,this is a gem of a drama,and worth watching it.Would also like to see Lee Ki Woo dump that dumb arrogant Kang Han-Na,and total air head of a girlfriend he has,and instead end up dating the sister of Gang Doo. Kim Hye-Jun is also a beautiful doctor,who is also very lonely,and would make a great match for Lee Ki Woo to fall in love with.Won Jin Ah is a total hottie,also love her style of acting,and would love to see her in other dramas,and movies. Both Lee Jun Ho,and Won Jin Ah share a beautiful chemistry between them,are both dedicated and excellent actors,and make a nice couple together. Enough Jan 29 2018 2:26 am One thing for sure if Lee Gang Do die, the writer is a sadist! ? Grace Jan 28 2018 3:46 pm I just finished Jugglers and I was suppose to watch this next but reading the synopsis, I thought it'll be a fun romcom. Then I read comments that is a melodrama and the lead might die. Jeez two of my pet peeves on korean dramas LOL, I watch Korean dramas to escape reality and just feel good, I don't want to cry every episode and especially if the lead will die ? That is why I really enjoyed Jugglers. DRAMA Jan 28 2018 1:13 am I just wanna say this is the best drama that can describes lead characters' suffers. I love it so much! And I love how Junho and Jina portray their own character. Can we have this couple in another drama again? junholove Jan 27 2018 5:29 pm I can only say, i love this drama. 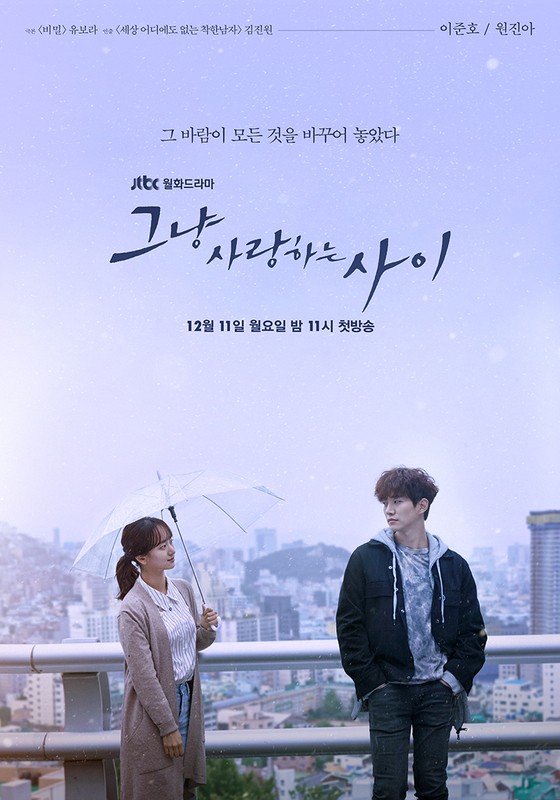 Its not my favorite just because its the melodrama genre and i normally hate sad storylines, but this one caught me cause it was so realistic and junho oppa did such a great acting job. I hope everyone who wasnt interested in this drama will change his mind. Misstumbler Jan 26 2018 12:02 pm Noooooo, Lee Gang Doo, don't die so soon :(( It'll be to sad for both of them. Just when they started as a lover. Arihant Jan 25 2018 9:26 am Looks like a bad ending.Glad I stayed away from this show as I did with "The King loves". People need to stop making these kind of shows-i can understand bad/sad endings in stuff like "Heartless city" but why in romance driven shows??? SAVI Jan 25 2018 4:32 am they deserve happy ending ... no more tears..
juvs Jan 25 2018 2:50 am Me too, not ready for the ending. Saw the trailer, seems that Gang Doo will die....no no please! Can they have a happy ending while helping each other to heal wound from the past. N R Jan 25 2018 2:36 am I'm not ready for this drama to end next week ?? flynn Jan 24 2018 8:02 pm leave them alone! enough with the pain, no more tears! gang doo and moon soo deserve to be happy. LoneGunMan Jan 24 2018 10:28 am Saw it coming a while back, but do they need to kill off the main character of the show? Rave Jan 23 2018 9:35 pm Too much people just love Gang doo, but i love Joo won character~~ he is a good person too. When other character seeing him as a perfect person and hv perfect life, but in the fact he struggle and suffer alone..
Syura Jan 23 2018 8:25 pm I dont have courage to watch next episode ?? Leks Jan 23 2018 11:09 am This drama is so underrated. Great story line, the cast is amazing, I love the twists. I love it so freaking much that my inability to understand Korean has gotten worse to the point, I couldn't be bothered about the subtitles anymore. I have this really bad feeling that Gang Doo might die but it's both sad and real because miracles only happen to a few of us and unless your liver is made up of concrete, you're going to be alive but the chances...? I can't. There are people out there living their lives like this hoping to be normal but then no one is normal, we all have our own stories. There's so much to learn from and the message they portray every episode has me in deep thoughts. Their OST is so freaking aesthetic! The crew behind this drama, You Guys Are Amazing!!!! Misstumbler Jan 21 2018 11:26 am I just started to watch "Just between lovers" and I like it ! I think both lead give a good acting and have a great chemistry. They also look so cute together. Thumbs up for Jun Ho, he really can act, and Lee gang doo is a completely different character than director Seo in Chief Kim / Good manager. The ost and cinematography is also great ! Supriya Jan 21 2018 1:20 am I love this drama. So much emotions, it will make you happy and cry at the same time. Both of them has done a great job. It never felt like they are acting so realistic. I am in love with Jun Ho and Gang do, he was too good in chief kim and now this drama. silvia Jan 17 2018 4:52 pm I love this drama. It's just so special. It does focus a lot on emotions, it captions how the characters feel. The OST is also beautiful. So calm and nice to listen to. The actors are really good. Lee Jun Ho's acting for me is perfection, Won Jin A is no worse, even though it's her first drama. They go well with each other and suit their characters. The plot is just as it should be. It's so real, and the story is very touching. Seriously, it's hard to find any cliché elements in this drama, because you can feel the writer meant to tell, appeal something to the viewers. I want to add that the shots are so pretty! So pleasing to the eye... If you are looking for something similar to Just Between Lovers, I recommend you to watch Zankyou no Terror (it's an anime). Also, my request is, please add Kim Jin Woo in the cast list, the actor that played the lawyer which had a conflict whith Kang Doo. 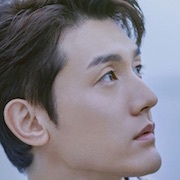 Another thing is that this drama has a second title (I personally don't like it): "Rain or Shine", so maybe it should be added as an information. Thank you. michan Jan 17 2018 3:12 am i know by time i write this the drama still run a halfway, but this is a great drama. everything is perfect: actors, plots, editing, backsound etc. this drama is very captivating because it feels so real. Yong Jan 16 2018 7:35 pm I think I'm in love with Gangdoo, he's just so charming. Joowon is so nice also, such a gentleman, but you know sometimes a good man can be a bit boring so. Btw I really recommend this drama. It really captures my heart with a unique way. Yes, it doesn't like other drama. I think it really pictures the situation and condition well. It has a slow development, like really it just proceed slowly, naturally, but you get captured in it, it's just beautiful in its way. I laughed and cried in the same episode. Funny thing is I laughed mostly cause of their cuteness, they're so innocent but same time so cute. I just hope there's nothing wrong with Gangdoo, cause I think it would be so hard for me to accept it. It's been one of my favorite dramas, one of the best so far, so I just hope it doesn't turn into angst, cause I kind of dislike angst. It would be hard for me to replay and watch it later if it turns out to be that way, while I really really love this drama so far. FAHMIGUERO Jan 16 2018 2:30 am this drama is really different than other melodrama...i love junho when he take prosecutor act in chief kim..he act arrogantly...but its also faithful...hahaha..i really dont know hot to express the feeling but its the truth this drama is unique in a good way..
kukang07 Jan 15 2018 12:19 pm this is such a good drama, all good reviews but the rating is too low. why? Aby Jan 15 2018 11:43 am I think maybe just me who love joo woon in this drama.. why??? 프리즈 Jan 14 2018 6:41 pm watching this drama sometimes make me sad and laugh at the same time.. and how beautiful everything in this drama.. there's nothing boring scene.. and the actress and actor do they characters greatly.. 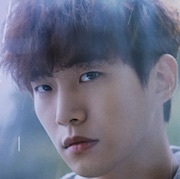 This is best melodrama I ever see..
drama-on-tune Jan 13 2018 7:51 pm Never expect Junho play this role super well. So does Won Jin A. Though I've never seen her acting before, she's just like veteran actress. This drama has different vibes actually, compared with any other from this genre (romance). It's not about sad romance, but sad background of romance, which was well sustained in every episode. Makes you wanna cry louder and louder. Hope the remaining episodes wont be disappointing. Excites Jan 13 2018 4:12 am Im not expect much went watch 1st eps because i dont know any actor here but this drama so amazing.Decision to take Lee Joon Ho and Won Jin A as a lead is suit perfectly.The storyline is very different from other drama that i watch. Jen Jan 11 2018 11:09 am what is the name of the actor that kang doo (Junho) fought with in ep8? Lunia Jan 11 2018 11:05 am The rookie actress has justified her role nicely. Looking forward for her next project. She's good in emotions scene. Hopefully, other station can identify her talent rather than looking into idol actress. Good job Won Jin Ah!!!! Kdramalover Jan 11 2018 1:24 am Excellent, often intense and bracing drama about the dividing line between dignity and cowardice in the struggle to face the traumas that life (and poverty) can bring. However, this is not a dark story but a beautiful one. The directing, the script and the acting are consistently deep and subtle. One senses that all the actors are giving their best. I am very impressed by the very subtle acting of Lee Joon-Ho as the young and injured Lee Gang-doo who is constantly fighting to keep his inner dignity. His acting is matched in a different register by Won Jin-a as Ha Moon-Soo. She is surely not one of those empty actresses routinely standardized by cosmetic surgery. She has mind of her own. Her attractive but unusual husky voice fits her character well. As a youngnew actress she is doing very well. I can see why the director and the screen writer chose her. The supporting roles are just a well acted. In particular, the moving dynamics between Lee Joon-Ho as the physically and mentally badly hurt Lee Gang-doo and Na Moon-hee as the medicine-selling Halmoni undefeated by life is a priceless gift to us all. The other supporting roles add depth and humanity to the story. The roughness and risks inherent to a construction site, a fishing boat, or a women's bar are constantly present as background, but they are not needlessly dramatized. This drama brings to mind the lotus flower: the magnificent flower that grows out of the muddy waters of life. But, who is the accountant that chose the totally meaningless and misleading English title for this drama. I started watching it by chance, in spite of this bad title. lamusika Jan 10 2018 11:20 pm I am not a fan of sad stories and I only started watching this drama because of Lee Joon-Ho's acting in 'Chief Kim'. However, from the second half of episode 1, I have been hooked and have always been anticipating the next episodes. Now that episode 10 is done, I can confidently say this is in the top 5 of my best drama list. Irma Jan 10 2018 12:14 pm So, I really believe no matter what will happen now (after episode 10) cannot ruin this drama for me. Even if they make the ending unsatisfying or just not to my liking, I will stand by my assertion as of now: Just Between Lovers is an amazing drama. I would NEVER have thought that I would like it so much - it's not a genre I usually watch, neither did the synopsis speak to me. But it has touched me in a way very few stories - dramas, movies, even books - have moved me so far. Each episode had me feel all the feelings in such an intense way; I found myself clutching my chest several times and being overwhelmed emotionally, be it by sadness or empathy or even happiness. For me, an avid drama watcher, this drama is an absolute treasure. Male K-Drama fan Jan 09 2018 10:20 pm Yes, her wheelchair-bound friend was Eun Tak's mother and the little girl that plays the younger sister was Eun Tak as a child. 122am Jan 08 2018 11:10 am OMG, I find her friend (Wan Jin, whose character is wheelchair-bound) so familiar but I just can't remember where I saw her before. And I just realized, she was Eun Tak's mother in Goblin! 122am Jan 08 2018 10:31 am What I really like about this show is how the male lead falls in love with female lead, and every time he falls in love a bit more, the scene sounds fade out and the camera shows various angles of his "gaze" on her. Because this is what happens to me when I'm observing someone too, sound fades out and every angle and movement is "magnified". Also, Gang Doo is super smart and has quick reaction. On top of that, he is tsundere and I just love tsundere characters, especially in rom coms and melodramas. Everyone is right, this show is definitely worth to watch. I was super hesitating at first because I gave a "10 minute" chance to the first ep and the crisis scene didn't attract me. Please watch until you see some chemistry between male and female leads before you give up on the drama, you will be hooked. Edicole Jan 07 2018 9:15 am Whoa this drama is so perfect from cinematography, bgm, cast, even the story is well connected. This is 16 episode of marvelous "movie". abrilkristina Jan 06 2018 12:59 am This is a great drama for me. Cinematography and sound tracks are amazing. Characterization and acting are on point, no annoying characters or unnecessary situations are inserted just to make this drama enjoyable to watch. It talks of healing and forgiveness.. especially to some people who faces tragedy and traumas in life. A must watch drama!!! Gracemaria Jan 05 2018 6:20 pm Finally find a good drama with anti mainstream story and actress. So freaking good. Can't wait for another episodes after finishing episode 8. Chia Jan 04 2018 9:36 am I am sooo addicted to this drama. The way the actors play their roles, especially the main two, i just can't help but constantly want to keep watching and know what's happening next. jdk22 Jan 03 2018 8:26 am Anyone know song from ep06?. When moon-soo and gang-doo sleeping in the harbor. The following is part of the lyrics. "I know it feels like you're gone I know you'll be ready Passing, tears in your eyes I don't want anything from you I don't want anything from you Just because of your love I won't let you go"
Mel Jan 02 2018 2:46 am The premise of the show is about trauma and overcoming tragedy, and this drama does an amazing job at depicting it without sensationalising or exploiting it for dramatic purposes. I've read that the aim of the drama is to be healing, and I think it's doing a wonderful job so far. The characters are complex, and the lead actors are doing a great job at portraying their roles with nuance, no dramatic and over the top hysteria needed here. I'm so impressed with this show, it's such a subtle and beautiful ode to the road of recovery. It's not about plotlines or the dramatic moments as much as it is about diving into the characters' psyche the overall ambience of the show. I don't think this drama is for everyone, but I'm definitely enjoying every minute of it. Tracy Dec 29 2017 12:47 am Just between lovers is a great drama! The chemistry between the two main roles are amazing thanks to their wonderful acting skills. I am always captivated during every second I'm watching it and I just can't let go! The reason I started the show was because I thought the storyline was very interesting and I don't regret my decision. Plus, how can you not love the cinematography? Everything is shot so nicely. If you haven't watched the drama yet, I highly encourage you do so :) it definitely deserves more bigger audience. Olivia Dec 28 2017 2:05 pm I love this drama!!! It's really really good! Uli Dec 28 2017 5:47 am Isn't hong kyung play as moon-so first love? kdrama lover ❤️ Dec 27 2017 3:51 pm this drama is soooo good. actually it's more than good. but, at the same time, it's really underrated. and, yes, I understand people may not like the actress, but come on, it's her first drama. give her a break. she's doing the best she can, and I gotta say, her acting isn't bad. this drama gives you so many feels, like the amount of empties you feel while watching is limitless. also, you do sorta recieve somewhat of Pinocchio vibes, but not much. The storyline of the drama is amazing, do not underestimate. All this drama needs right now is support. Maria Dec 27 2017 10:22 am I don't usually comment on these sites but I had to do it for this drama. This drama is pure masterpiece, the story, the timeline, the directing, and the actors are hella doing THE BEST DRAMA! I have seen a couple of dramas that can last a lifetime but this drama will not only last a lifetime but will live on until forever!! THAT IS HOW GOOD THIS DRAMA IS and its still even episode 6! 100 for 100!! Must See!! You will cry, laugh, get angry and all kinds of emotions from this drama!! Rosefield Bloom Dec 27 2017 10:16 am Must Watch!!! Junho & JinAh chemistry is no joke!!! I love how their feelings are built slowly yet so melow! Momo Dec 27 2017 8:51 am If you haven't watched his new drama yet then go and watch it because it's amazing. Both the actors are acing the characters and specially for Junho, no body could've done a better job at being Gang Doo! It's legit my favourite drama right now. I'm in love with the leads. chsca Dec 27 2017 5:07 am This is actually my favourite drama at the moment and hate having to wait a whole week until the next two episodes come out. The drama is beautiful and the cast is amazing, but unfortunately they are not that well-known yet. I hope that this drama will help them gain popularity-- I love you Junho! an ant Dec 23 2017 2:24 pm Recommended! Great Act, Good Story, High Class Message. Sadzakhieomma Dec 22 2017 5:34 pm I love this daebak drama. This drama is super cool. Gumawoyeo PD nim and Jagga nim for making this daebak drama. It is truly worthy. Chemistry between lead male and lead female os superb. I really enjoy this drama. And also the OST is also superb. Hopefully this drama will be a healer for them who also losing a loving one. G Dec 21 2017 11:02 pm Anyone know how many episodes this show is going to have? Also, does anyone know the song when they were on the rooftop? I looked but couldn't find it haha. Any help is appreciated! sat Dec 21 2017 10:47 pm Anyone know the song that playing when they on rooftop ? lady-une Dec 21 2017 7:12 pm i need to know the song name for the one playing during episode 1 at the 1:29 mark and again it plays during episode 3 at the 53:47 mark. i know that tune but i cant place the song name. any help is much appreciated! elina Dec 21 2017 4:43 pm I have been wondering where I can find that song too, its soothing and I really like it.Please if anyone knows tell me. i just copy the lyrics at the subs hah if you know please notice me! malu dizon Dec 20 2017 5:14 am I like this kdrama...something new ...they have different story...and the two lead stars they are good. Acting wise both of them are good. Gang doo and Moon Soo keep up the good work.... Fighting! Crystal Dec 20 2017 5:02 am Is this familiar to weightlifting fairy kim bok joo, in any possible way? Kythve Dec 19 2017 8:20 am Savina & Drones (사비나앤드론즈) Feat. 김경희 - 오로라 Just Between Lovers OST Part 2 that awesome slow song. Btob songs Dec 19 2017 5:58 am I love this drama way too much ... The story is gr8 the chemistry is not a joke the leads all 4 of them are amazing. ???? Mishee Dec 17 2017 4:14 pm Does anyone know that slow soothing song they play in between episodes? Not the main sound track that comes at the end of the drama. Would really appreciate knowing. Thank you. i am here Dec 17 2017 6:09 am I was very hesitant towards starting this drama as it seemed like it would be too simple. However now that I've started it, I absolutely love it so far. Obviously I can't say too much considering how only 2 episodes have aired. But I've fallen for the cast, the story, and the chemistry between the two main leads. If you're hesitating like I did, just give it a shot first! You'll instantly enjoy the first episode. This is the type of drama where you can sit inside and relax while watching. Gabby Dec 16 2017 9:19 am Lee ki woo as seo joo won so daebak, He is very gentleman, calming, and mysterious. I dont know why im fall in love with his character at first time morethan junho character. Fighting joo won, you must be happy in the end! 다미니 Dec 15 2017 1:24 pm So this drama is really something different from others . Lol I don't have words to describe what it is actually but after watching the 2 episodes ...the drama looks so promising and convincing . I'm again and again watching the preview of 3rd episode . I hope the rest also go this much well . susu Dec 15 2017 11:24 am Nam Da Reum act as young Lee Gang Doo... Really love him so much!! S Dec 13 2017 10:51 am Who is the actor for young Lee gang doo? Pallavi Dec 13 2017 12:11 am After a long time its seems one of the most diligent dramas I have seen recently, both the protagonists male and female are doing a great job with they pro acting skills which is really enthralling. It gives a wow feeling whenever we see them together. The direction and cinematography is exceptional, the music is so tempestuous equally soothing that one would fall for it after listening once. The story line is quite uniquely presented with lots of heart tingling as well as aching moments....My best wishes for the team of "Just Between Lovers" for there marvelous job in the drama, I hope it to be a great success and the upcoming episodes will do justice to their endeavors holistically. Tenzin lhamo Dec 11 2017 2:06 pm I am waiting for this drama for a long time .. Now it happening so best of luck every one thank you all for your hard working..
Maninder Kaur Dec 07 2017 10:36 am Only 3 days left !! Waiting eagerly for this drama... only one actor i didnt like is Kang ha na... wish they had cast someone else. Never liked her work even in Scarlet Ryeo she did so bad acting. Gonna skip her scenes in this drama. carrie Nov 25 2017 5:46 pm Finally a lead role for Junho ??? Maninder Kaur Nov 16 2017 8:26 am The teaser is looking fabulous. Waiting eagerly for this drama. Thank you Asianwiki for releasing the teaser. Please release the date soon. Webbybebb Oct 29 2017 6:43 pm Oh my god :-O I am not a patient person ? iwan Oct 18 2017 11:01 pm i just feel something good from the trailer, excited to watch it. I think the cable tv kdrama in JTBC is growing big lately. tvN have to take the challenge seriously since both the cable tv capable produce high quality drama even match the three Big (KBS, SBS, MBC). Ria Oct 16 2017 12:36 am Just want to respond the comment about Kang Ha Na. As far as i know, its right that kang ha na also cast in this drama. But she will act as second lead not first lead, along with lee ki woo. 12345 Oct 12 2017 2:40 am just by the title, i can say it's gonna be heart-fluttering. hryujin Sep 18 2017 9:14 am wht is this?i think kang ha na was lead..she is first lead said by fantagio ent her agency.why here not include her as cast?? how abt woo jin ah? how many leads they hv?is it possible they hv many lead in same drama?as i know if one is first lead then others is second lead.did anyone knew this matter?? Party guy Aug 25 2017 7:18 am Cant wait to watch lee junho as actor again. Im fallin in love with again n again. ?